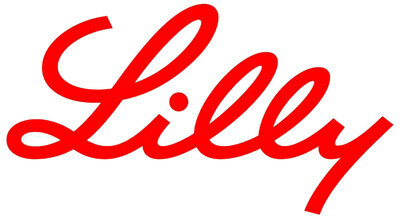 INDIANAPOLIS, Dec. 17, 2018 /PRNewswire/ -- Eli Lilly and Company (NYSE: LLY) announced today Taltz® (ixekizumab) met the primary and all major secondary endpoints in the Phase 3b/4 SPIRIT-H2H study, which evaluated the efficacy and safety of Taltz versus Humira® (adalimumab) in patients with active psoriatic arthritis (PsA) who are biologic disease-modifying anti-rheumatic drug (DMARD)-naive. The SPIRIT-H2H trial is the first completed large head-to-head (H2H) superiority study in active PsA. This open-label, randomized, controlled trial is the first and only H2H study that utilizes on-label dosing for both Taltz and Humira and includes concomitant conventional DMARDs. At 24 weeks, patients treated with Taltz met the primary endpoint by demonstrating superiority in improving the signs and symptoms of active PsA compared to Humira as measured by the proportion of patients simultaneously achieving at least a 50-percent reduction in disease activity, as defined by the American College of Rheumatology (ACR50), as well as complete skin clearance as measured by the Psoriasis Area and Severity Index (PASI100). In addition, Taltz met the major secondary endpoints. "The positive results from the SPIRIT-H2H trial reinforce that Taltz effectively treats the debilitating joint signs and symptoms of active psoriatic arthritis, while also providing skin clearance," said Lotus Mallbris, M.D., Ph.D., vice president of immunology development at Lilly. "These results provide evidence that Taltz can be used as a first-line biologic treatment for patients with active psoriatic arthritis." A total of 566 active PsA patients were enrolled in the study to evaluate the efficacy and safety of Taltz compared to Humira. Patients with active PsA were randomized to receive Taltz at the approved dose (160-mg starting dose followed by 80 mg every four weeks), or Humira (40 mg every two weeks) for a total of 52 weeks, with the primary analysis conducted at 24 weeks. Patients meeting criteria for moderate-to-severe plaque psoriasis received the approved dose of Taltz (160-mg starting dose followed by 80 mg every two weeks from Week 2 to Week 12 and every four weeks thereafter) or Humira (80-mg starting dose followed by 40 mg every two weeks, one week after the initial dose). "In the SPIRIT-H2H trial, Taltz demonstrated superiority in improving active psoriatic arthritis compared to Humira," said Philip Mease, M.D., Swedish Medical Center/Providence St. Joseph Health and University of Washington. "This study will help raise awareness and better inform conversations between patients and their healthcare providers about treatment options for active psoriatic arthritis." In SPIRIT-H2H, the safety profile of Taltz was consistent with previously reported results. No new safety signals were detected. Lilly unites caring with discovery to create medicines that make life better for people living with immune-mediated diseases. SPIRIT H2H study is a Phase 3b/4, multicenter, randomized, open-label, parallel-group study with blinded outcomes assessments evaluating the efficacy and safety of Taltz versus Humira in patients with PsA who are biologic DMARD-naive during a 52-week treatment period. The primary endpoint of the study was the simultaneous achievement of ACR50 and PASI100 response at Week 24. This primary endpoint is an innovative approach that comprehensively measures clinically meaningful improvements across multiple domains of PsA. The major secondary endpoints were the demonstration of non-inferiority in ACR50 and superiority in PASI100 in Taltz compared to Humira. Patients with active PsA and plaque psoriasis with a body surface area involvement of at least three percent, who had inadequate response to at least one conventional DMARD, were enrolled in the study. This press release contains forward-looking statements (as that term is defined in the Private Securities Litigation Reform Act of 1995) about Taltz (ixekizumab) in patients with active psoriatic arthritis, and reflects Lilly's current belief. However, as with any pharmaceutical product, there are substantial risks and uncertainties in the process of development and commercialization. Among other things, there can be no guarantee that future study results will be consistent with the results to date, that Taltz will receive additional regulatory approvals, or be commercially successful. For further discussion of these and other risks and uncertainties, see Lilly's most recent Form 10-K and Form 10-Q filings with the United States Securities and Exchange Commission. Except as required by law, Lilly undertakes no duty to update forward-looking statements to reflect events after the date of this release.